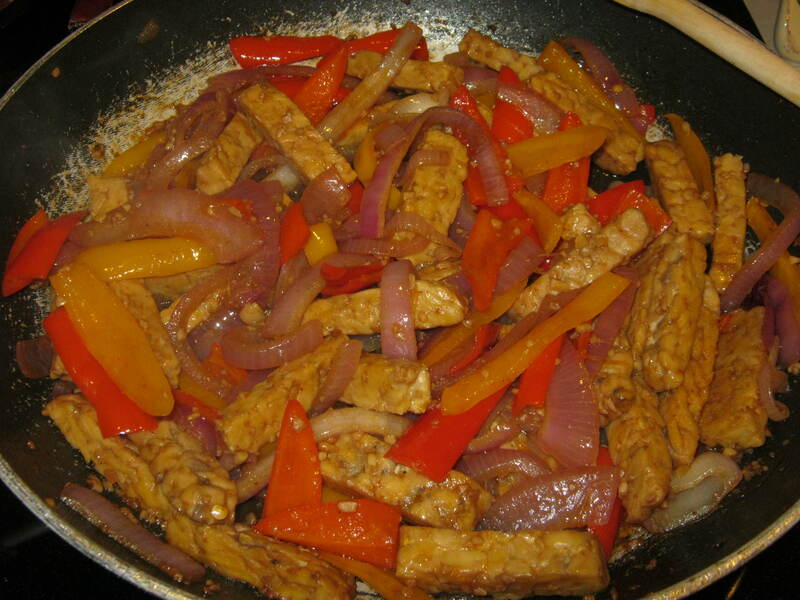 The tempeh fajitas are pretty rockin – no joke. 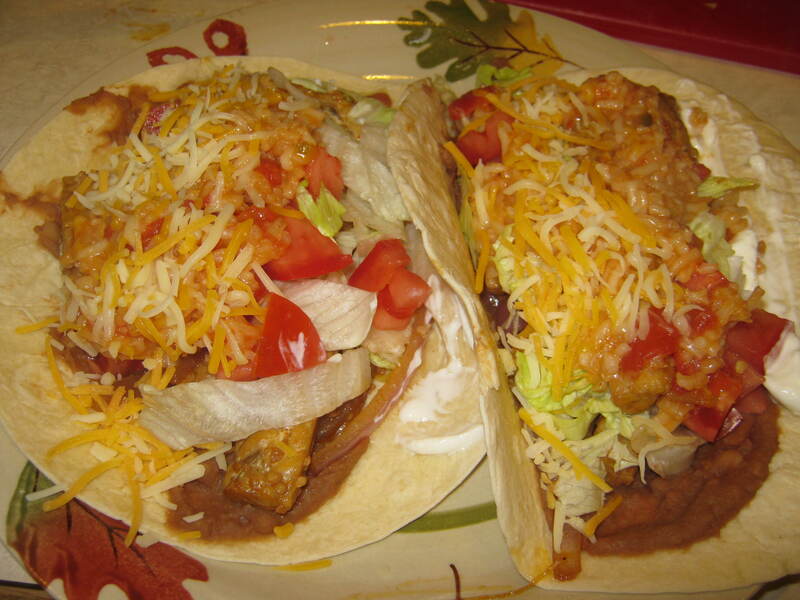 I recommend them with some refried beans and a bit of Spanish rice. Good job super chef!